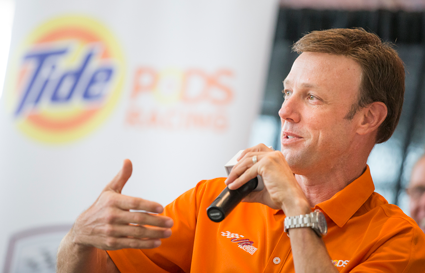 P&G’s Tide Brand Returns As A # NASCAR Sponsor, Partnering With Joe Gibbs Racing And Driver Matt Kenseth. Tide and Joe Gibbs Racing announced yesterday that they will bring back one of the most iconic brands in the history of NASCAR for the Bojangles’ Southern 500 at Darlington Raceway on Sunday, September 4. 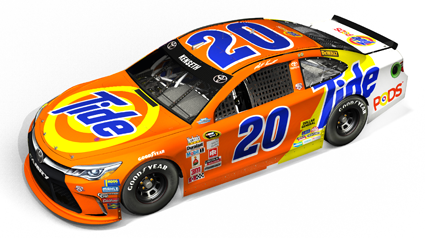 Tide’s unforgettable orange and yellow paint scheme has been reborn as a more powerful Tide PODS Toyota Camry, and will be driven by Joe Gibbs Racing driver Matt Kenseth. As the iconic laundry detergent celebrates its Seventh 70th anniversary, the classic orange-and-yellow paint scheme will once again hit the track, reborn as the new powerful Tide PODS Toyota Camry, to showcase the evolution of the brand. In all, as a primary sponsor Tide amassed 20 total wins and powered 203 top-ten finishes (out of 628 total starts) throughout its 20-year involvement in the sport. 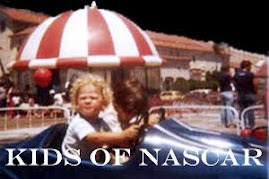 While not a prominent partner in the sport at the time, in February 2012 Tide was part of a memorable piece of NASCAR and pop culture history. Near the finish of the Daytona 500, the No. 42 car lost control under caution and collided with the back of a jet dryer. Nearly 200 gallons of jet fuel from the dryer dumped onto the surface of the track, almost immediately igniting a large fire, with heat from the burning fuel severely damaging the asphalt. After putting out the flames, track safety workers poured numerous, large boxes of Tide detergent all over the track, using brooms to scrub it into the surface. Known for its cleaning power since its inception, Tide’s unique formula saved the race from ending prematurely, allowing teams to get back on track and race to the finish. The remarkable clean-up efforts made national headlines and once again proved Tide’s powerful clean can handle any job, no matter the size. Named one of 2016’s Products of the Year, Tide PODS is a 3-in-1 laundry solution, consisting of a detergent, stain remover and brightener all in one convenient pac. The concentrated power of Tide PODS is designed to handle a broad range of challenging conditions and soils in both traditional and high-efficiency machines. Tide PODS are available at Food Lion and other major retailers nationwide. To learn more about Tide PODS, please visit Tide.com. 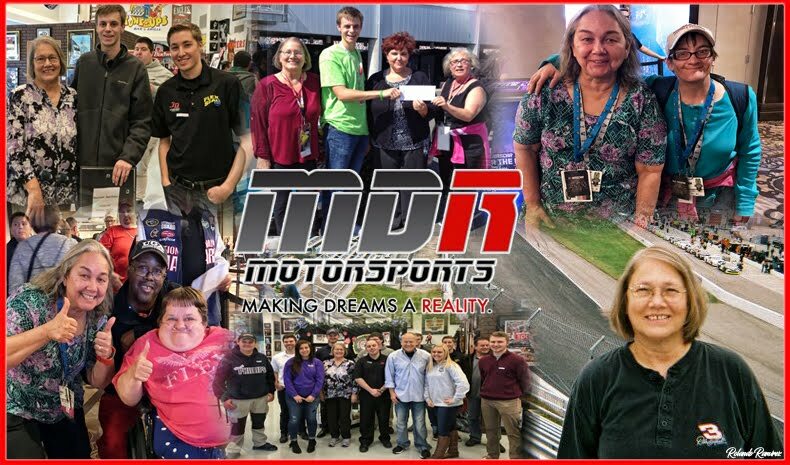 Joe Gibbs Racing (JGR) is one of the premier organizations in NASCAR with four NASCAR Sprint Cup Series teams, three NASCAR XFINITY Series teams and a driver development program. Its 2016 driver lineup consists of Denny Hamlin, Kyle Busch, Matt Kenseth, and Carl Edwards in the Sprint Cup Series. Daniel Suarez and Erik Jones will run fulltime in the NASCAR XFINITY Series, joining Kyle Busch and Matt Tifft who will run partial schedules. In addition, Cody Coughlin is currently in JGR’s driver development program. Based in Huntersville, N.C., and owned by Joe Gibbs — a three-time Super Bowl winner as head coach of the Washington Redskins and a member of the Pro Football Hall of Fame — JGR has competed in NASCAR since 1992, winning four Cup Series championships, and four XFINITY Series owner’s championships along with more than 200 NASCAR races, including five Brickyard 400s and two Daytona 500s.